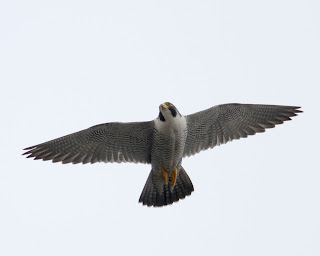 BIRDMAD: Sutton peregrines nearly ready to fledge! 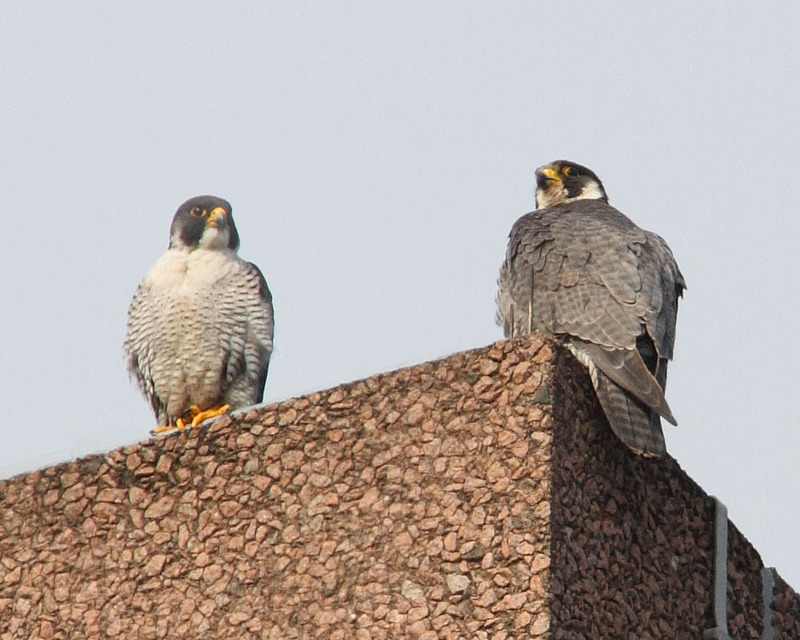 The 4 chicks born to the peregrine falcons on the roof of Quadrant House, Sutton are in the news. They're on the front page of the Sutton Guardian this week. 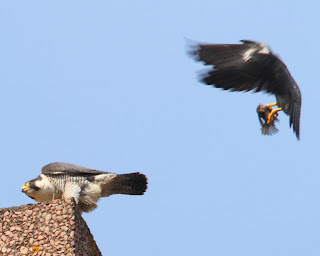 Today, the adults were more active, flying round the building and calling to encourage the chicks. This shot shows the parents. The male is on the left. He's considerably smaller than the female but the angle of this shot doesn't show the female at her full size. Male peregrine left - female right. 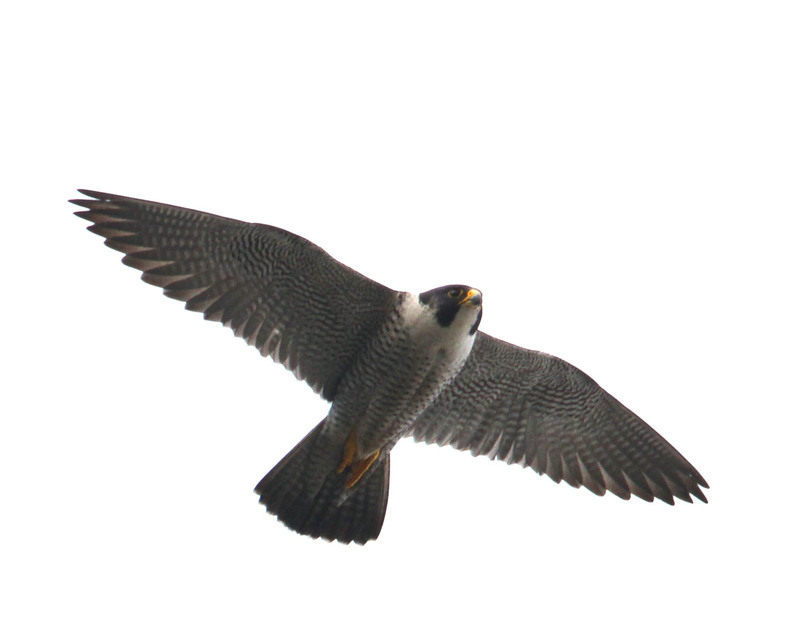 Here is the female in flight to encourage the chicks. They didn't all hatch at the same time (because the eggs were not all laid at the same time) so only the first ones to hatch are nearly ready to fly. The others will take a few days longer. At one point both adults went after a pigeon. The chase was very exciting for about 200 metres before the pigeon got away by plummetting into a tree! I'll keep you posted as the young birds fledge. Watch this space!